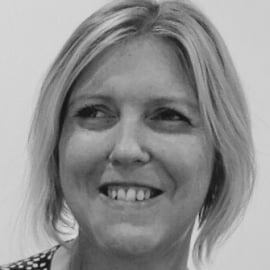 Rosalyn is based in London and has been with the John Lewis Partnership since 2014. The Partnership spans 400 branches of John Lewis and Waitrose, together with a strong online retail presence. During 2017, Rosalyn assumed the role of CPO encompassing a broad range of indirect spend from Technology to Property and Distribution alongside a Procurement Operations function. Rosalyn has a long and varied career in procurement and supplier management, spanning a range of industries including Retail, Construction, Defense and Financial Services. Rosalyn has had a particular interest and focus on technology sourcing and strategic supplier management. More recently, a converging of these interests has led to increased focus on the world of AI, automation and it’s impact, not only in the sourcing environment but also on the supply base and on the workplace as a whole. In here spare time Rosalyn enjoys spending time with her two small children, which is infinitely more challenging than managing a team of dedicated procurement professionals.